Following her GRAMMY® winning album Overcomer(2013), Mandisa’s fifth studio album Out Of The Dark has returned Mandisa to the top of charts, earning the No. 1 spot on Billboard’s Christian & Gospel Chart and Top 20 on Billboard Albums Chart. 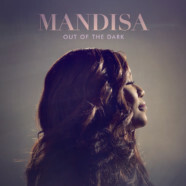 Out Of The Dark has found Mandisa visiting the west coast this week, making stops at Entertainment Tonight, TBN’s PRAISE and Hallmark Channel’s Home & Family where her interview performance will air on both June 1 and June 2 at 10/9 a.m. CST on the Hallmark Channel. Fans & critics have welcomed Mandisa back. Among them, People Magazine stating “She’s known for her determinedly sunny disposition, but Mandisa recently weathered a dark depression… And through all the hardships, the singer has channeled her pain into her new album Out of the Dark,” and Focus on the Family’s Plugged In, who honestly shared “This authentic, gritty, hopeful collection of songs may very well help others who find themselves in similarly shadowy places.” In a vulnerable opening filled with real life voicemails from friends,Out Of The Dark finds Mandisa collaborating with Kirk Franklin, TobyMac, Britt Nicole and Jeremy Camp appear on the 18 track LP. With themes of value, honesty and unity, Mandisa has released a stream of song story videos to share the heart of the newest tunes. To view the videos, click here. To purchase Out Of The Dark, click here.